I sometimes babysit a five year old girl whose parents are divorced. She is quite chatty and so recently, I enquired about her day at her mother’s place. She informed me that her mother’s car broke down and her father had driven down to give her mum a lift. Now I know most divorced people do not act like that so I commented on how nice her father is. Her response was quite intriguing. She said “yes I know and I have asked him if I can marry him when I am older”. I laughed and explained to her that she would need to find another man with the good qualities her dad had. 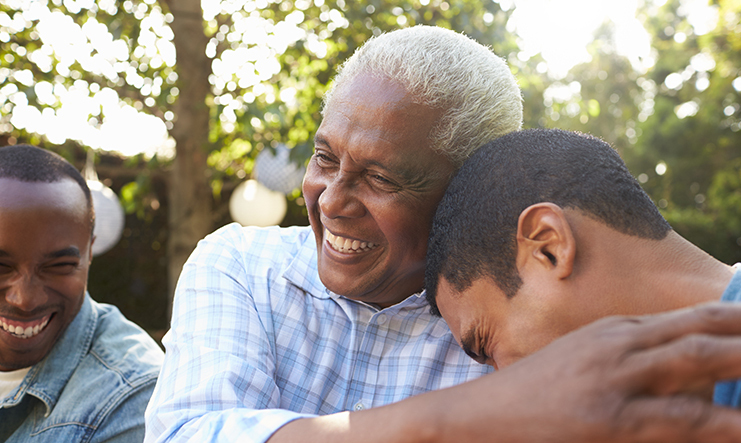 All of us can relate to the mercy that father showed to his former partner. Mercy, according to Oxford dictionary, it is a disposition to be kind and forgiving, compassionate or simply put, it means not getting what we deserve. Mercy is such an integral quality of God that the first time He reveals His glory to a man, Moses “as he passed…..he shouted…..the Lord, the Lord God merciful and gracious, long-suffering, and abounding in goodness and truth” (Exodus 34:6).The first characteristic mentioned of God here is that he is merciful. Jeremiah also says about this mercies, that they are manufactured new every morning and that his mercy stops us from being destroyed (Lamentations 3:23). The mercy of God also leads to forgiveness of sins (Psalms 51:5), deliverance from death (Psalms 9:13), restoration (Jeremiah 42:12), direction (Isaiah 49:10), healing (Psalms 6:2), answers to prayer (Psalms 4:1) to mention a few. Perhaps your own memories of your father are far from favourable. He may have been absent, too stern or worse still, abusive and Father’s day celebration brings memories you would prefer not to revisit. But this Father’s day, regardless of how our “earthly fathers” or “father figures” may have acted or treated us, I implore us to choose to celebrate the true father – God, the one who is the “Father of mercies” and the source of our sustenance. Grace Tom-Lawyer is a writer and a blogger who lives in the United Kingdom and loves to share a message that brings dignity to the lives of people with a passion for the practical application of Biblical truths in everyday living. She also loves to write about practicalities of relationships and loves to share personal experiences to help relationships. She is the host of “Feasting at the Table”- a weekly Bible Study programme that holds on Peace & Joy Radio & features regularly on www.dishusbandmata.blogspot.co.uk.